Venture deep into the heart of the Andes. 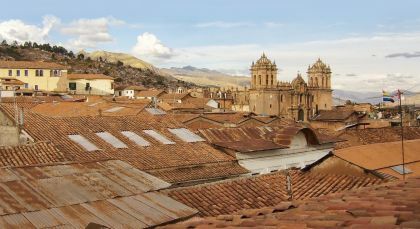 Explore the majestic Inca ruins of Machu Picchu and Sacred Valley, and travel on to vibrant Cusco. 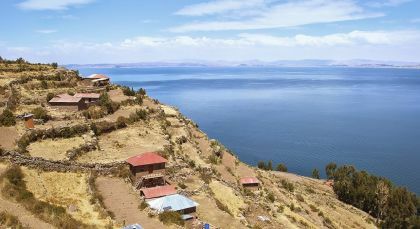 Your last stop is at Lake Titicaca, which offers charming contrast to your tour of the towering Peruvian mountains. Leave the city of Cusco for the beautiful nature of the Andes. Meet your private guide and mount your ride for an off-the-beaten path experience as you ride through the tranquil countryside. Enjoy the blooming vistas and incredible landscapes taking in the scenery at your own speed. (Duration 4 hours total, 2 hours riding, if you have a preference for timing, please tell your travel consultant at the time of booking, otherwise our team will schedule the tour at the best available time. Private Activity). 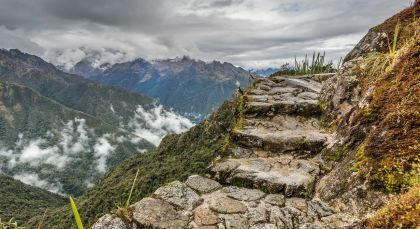 Set out on the classic Inca trail, trekking with a small group for 4 days to the citadel of Machu Picchu. Marvel at the constantly changing flora as the trek continues higher and enjoy first hand the experience of what explorers must have felt when discovering this incredible site for the first time. Camp for 3 nights in comfortable tents, enjoying hearty meals prepared for you along the way and you’ll be sure to conquer this exhilarating and stunning climb! On the first day you will depart at 7am by car to ‘Km 82’ where the trek begins. Visit Llactapata and Chilca before heading towards your first camp at Wayllabamba. (Group Activity, Maximum Group Size 16 people, Hike is 27 miles/43km in total, Expedition train on return. Maximum 10kg of luggage. Lunch and Dinner included on Day One. Sleeping Bag Included. In case you would like to hire a porter -with an extra cost-, the porter will carry up to 5kg of luggage). 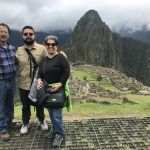 The glory and mystery of Machu Picchu is best appreciated by following the footsteps of its creators on the famous Inca Trail. When traveling abroad in a foreign land, the experience is greatly heightened when you have experienced drivers and guides. Just being picked up from the airport gives the traveler a sense of security and welcome that is greatly appreciated. The drivers and guides become your temporary family.